BWRS on Kindle Web - Try before you buy! Reputation Wednesday is an ongoing series of essays about reputation-related matters. This week, Bryce shares a simple work-in-progress and solicits your input to make it better. Once upon a time, in (what feels like) a previous life, I illustrated some moderately well-received concept maps: diagrams intended to communicate some simple concepts about software systems and show the interrelationships between their moving parts. Throughout work on Building Web Reputation Systems, it has always been my intent to attempt a compelling, engaging and fun-to-read concept map. Something to demonstrate the concepts that we've drawn on throughout the book. That was my intent anyway—it just never occurred to me how much work writing a book was going to be. So it hasn't been until fairly recently (like… um, tonight, actually) that I've been able to start pulling something together. I usually don't use Omnigraffle in the design of these concept maps, but it's looseness and speed of idea-capture just felt right for this one, so I'll probably let the general shape of the map simmer for a while in it before moving it over to Illustrator for some fun touches and polish. This sketch is, admittedly, incomplete. I have a paper version, drafted beforehand, that's easily 150% this size (in terms of # of concepts and linkages.) Please feel free to comment here, or over on Flickr. Hopefully you've enjoyed this brief light interlude, and I'll share more about the progress on the Reputation Systems Concept Map as it evolves. Reputation Wednesday is an ongoing series of essays about reputation-related matters. This week, Randy comes back from the IIW with a simple idea for improving application permissioning. The technical requirements for the dialog are pretty simple: applications have to ask users for permission to access their sensitive personal data in order to produce the desired output—whether that's to create an invitation list, or to draw a pretty graph, or to create a personalized high-score table including your friends, or to simply sign and attach an optional profile photo to a blog comment. The problem, however, is this—users often don't understand what they are being asked to provide, or the risks posed by granting access. It's not uncommon for a trivial quiz application to request access to virtually the same amount of data as much more "heavyweight"applications (like, say, an app to migrate your data between social networks.) Explaining this to users—in any reasonable level of detail—just before running the application causes them to (perhaps rightfully) get spooked and abandon the permission grant. The platform providers want to make sure that their users are making as informed a decision as possible, and that unscrupulous applications don't take advantage of their users. The working group made no real progress. Kevin proposed creating categories, but that didn't get anywhere because it just moved the problem onto user education—"What permissions does QuizApp grant again?" This is where identity meets trust, and that's the kind of problem that reputation is perfect for. Applications should have reputations in the platform's database. That reputation can be displayed as part of the information provided when granting consent. Here's one proposed model (others are possible, this is offered as an exemplar). "If you let me have your (I), I will give you (P). [Grant] [Deny]"
Example: "If you give me access to your friends list, I will give you cake." In this system, I propose that the applications be compelled to declare this formulation as part of the consent API call. (P) would be stored along with the app's record in the platform database. So far, this is only slightly different from what we have now, and of course, the application could omit or distort the request. "Did this application give you the [cake] it promised?" "Randy says the [cake] was unsatisfactory. Pamela says the application spammed her friends list." 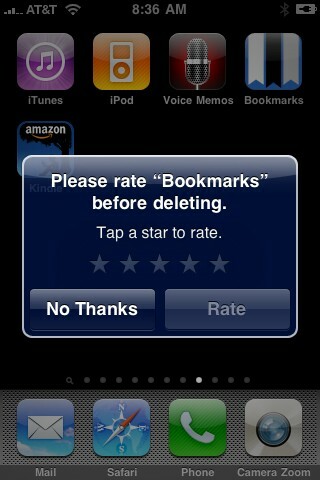 Sure, this doesn't help early adopters. Reputation Wednesday is an ongoing series of essays about reputation-related matters. This week's entry announces two important milestones. We are proud to announce that our Chapter 12 Case Study—Yahoo! Answers Community Content—is now available for review! This chapter is a doozy. Using the structure and guidance from the rest of the book, it attempts to describe, in detail, a project that has saved Yahoo! millions of dollars in customer care costs (and produced a stronger, more content-vibrant community in the process.) No excerpts here. It's all good stuff—go read it. And, coinciding with this draft chapter release, Randy and I can also announce that we've achieved an important milestone for the book: draft complete status. Our editor Mary blessed it on Monday. We're expecting feedback from our early reviewers soon that will dictate the tempo and scope of re-writes, so… stay tuned! We will, of course, continue to blog here and stick faithfully to our Reputation Wednesday schedule. The Dollhouse Mafia, or "Don't Display Negative Karma"
Reputation Wednesday is an ongoing series of essays about reputation-related matters. This week's essay explains why publicly displayed user reputation (karma) is a very bad idea. It is excerpted from Chapter 7: Objects, Inputs, Scope, and Mechanism. In our application context, the users' value will be represented by a single karma, which is a numerical value. There are good, trustworthy users and bad, untrustworthy users, and everyone would like to know which is which, so we will display their karma. We should represent good actions as positive numbers and bad actions as negative, and we'll add them up to make karma. 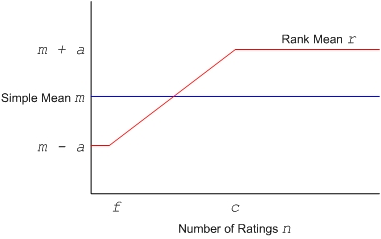 Good users will have high positive scores (and other users will interact with them), and bad users will have low negative scores (and other users will avoid them). The Sims Online was a multiplayer version of the popular Sims games by Electronic Arts and Maxis in which the user controlled an animated character in a virtual world with houses, furniture, games, virtual currency (called Simoleans), rental property, and social activities. You could call it playing dollhouse online. One of the features that supported user socialization in the game was the ability to declare that another user was a trusted friend. The feature involved a graphical display that showed the faces of users who had declared you trustworthy outlined in green, attached in a hub-and-spoke pattern to your face in the center. People checked each other's hubs for help in deciding whether to take certain in-game actions, such as becoming roommates in a house. Decisions like these are costly for a new user – the ramifications of the decision stick with a newbie for a long time, and backing outof a bad decision is not an easy thing to do. The hub was a useful decision-making device for these purposes. That feature was fine as far as it went, but unlike other social networks, The Sims Online allowed users to declare other users un trustworthy too. The face of an untrustworthy user appeared circled in bright red among all the trustworthy faces in a user's hub. If you think this is a fun game, think again-a typical response to this shakedown was for the user to decide that the game wasn't worth $10 a month. Playing dollhouse doesn't usually involve gangsters. Avoid public negative reputation. Really. Reputation Wednesday is an ongoing series of essays about reputation-related matters. This week, we pause to highlight a great presentation from Micah Alpern of Yahoo! Micah Alpern is Director of User Experience for Social Search at Yahoo! and was, at one time, the lead User Experience designer for the first several iterations of Yahoo! Answers. One of the final projects Micah worked on for Answers was a reputation-intensive program to reduce the amount of abusive content that was appearing on that site. We'll be covering this very project, Yahoo! Answers Community Moderation as an in-depth case study in our soon-to-be-drafted Chapter 12 and Micah recently gave a fantastic presentation to the Wikimania 2009 conference. It covers everything from business goals, community metrics, design and implementation to some insight into how well the project performed, and continues to perform. View more presentations from Micah Alpern. Reputation Wednesday is an ongoing series of essays about reputation-related matters. This week's entry introduces two new chapters in our book. The wiki for Building Web 2.0 Reputation systems has been updated with two new chapters that are very different from each other. Chapter 9 - Using Reputation: The Good, The Bad and the Ugly presents a whole host of reputation-driven strategies for improving content quality (and the perception of said) on your community-driven site. This chapter will interest UX designers, product- and community-managers and social architects of all stripes. No excerpts this time around folks. For their respective audiences, we think the chapters themselves are packed with chewy goodness. Reputation Wednesday is an ongoing series of essays about reputation-related matters. This week's entry shares some news about the production and design of our book, and asks for your help in pushing it forward to completion. This is very exciting for us. We're close enough to draft-complete that our wonderful editor at O'Reilly, Mary, went ahead and pulled the trigger on our cover-art! Earlier this week, she shared this with us, passed along from O'Reilly Creative Director Edie Freedman. For those of you paying attention, yes we did share your animal suggestions with the creative team at ORA. They enjoyed them immensely and then—true to the admonition that leads off that page—set them aside and picked this big beautiful bird. (Or 'boo-wuh' as my toddler son says after repeat viewings on Daddy's laptop.) We're pleased with the end result, and excited to see the book coming thismuchcloser to reality. However… we still need your help! 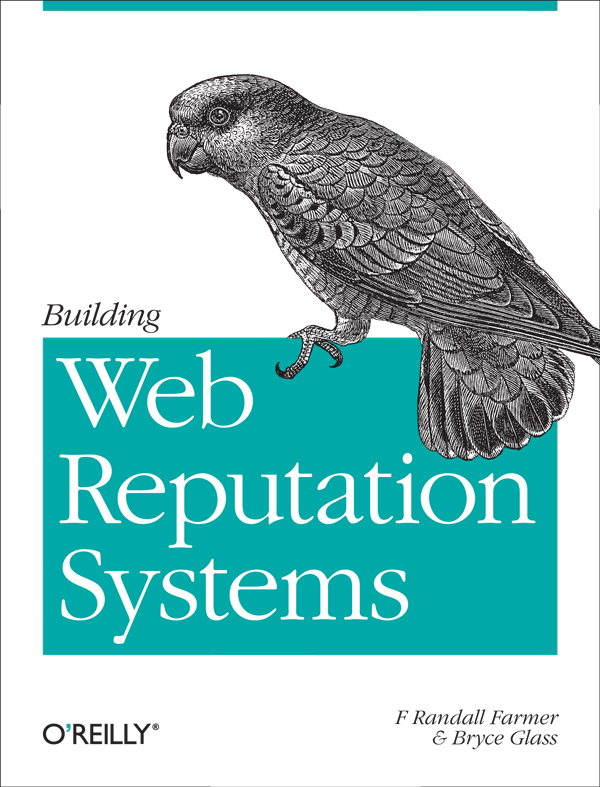 All O'Reilly books feature a tagline, and we need some good suggestions. To accompany the written proposal for the book, Randy found a fun little "O'Reilly cover generator" somewhere online, and the tagline he provided to that was "Ratings, Reviews and Karma, Oh My!" That effort was only semi-facetious—it does highlight some of the principal patterns and methods discussed in the book. Not easy to do in 2 lines of text. So, please—if you've been following the progress of the book and have some ideas about a tagline, we'd love to hear your thoughts. Please leave a comment on this page.